Transform Your Fear Into Fuel. Ignite Your Potential. 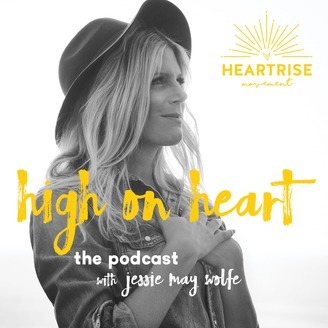 Hosted by Jessie May Wolfe, founder of HeartRise Movement, 'High On Heart' the podcast, is here to ignite your potential with heart-powered purpose, play, and passion. For over a decade, Jessie May has been bringing the HeartRise Method into organizations, communities, and companies across the world. Known for her signature soothing voice and healing presence, Jessie May’s live HeartRise meditations have quickly gained a dedicated following. 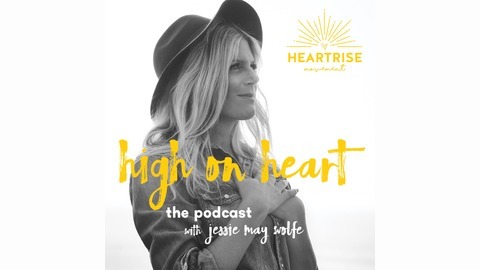 Now, returning with her new podcast ‘High on Heart’ (formerly ‘Sunny Side Up’ for you loyal listeners), Jessie May shares her poetic guidance in a transformative half-hour exploring essential themes which permeate the heart of our human experience. Beginning with a simple HeartRise connect, each episode delves into a freestyle jam sure to inspire, awaken, and empower your potential like never before. HeartRise Movement is a modern method of meditation and an empowering lifestyle. In the spirit of living ‘High On Heart’, we are changing the pulse of communities from the corporate to the creative world. Igniting connection, beyond boundaries. We liberate living, loving, and leading heart first. Learn more at www.heartrisemovement.com.